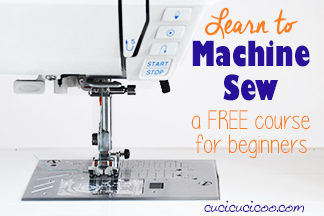 Welcome back to another lesson in the free Cucicucicoo Learn how to Machine Sew course for beginners! 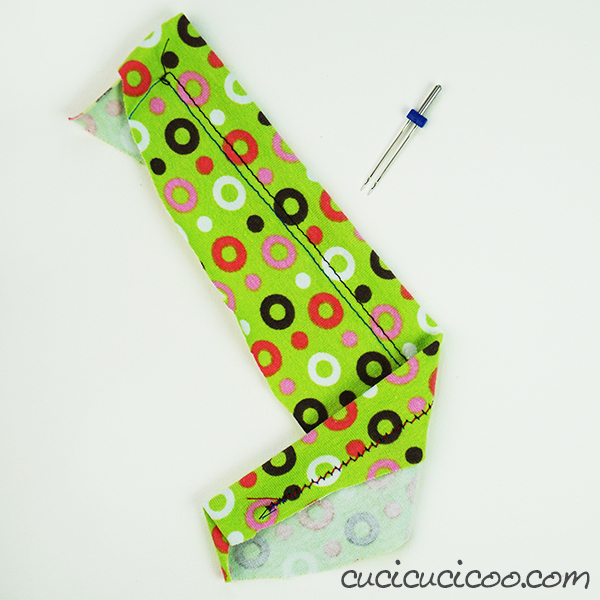 I’ve already shared some essential tips and instructions for sewing knit fabrics, but I didn’t get into detail about one of the best tools for sewing stretching fabrics. 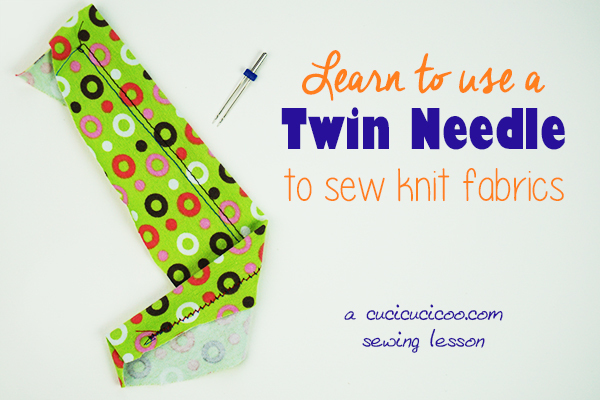 So today I’m going to show you how to sew knits with a twin needle! 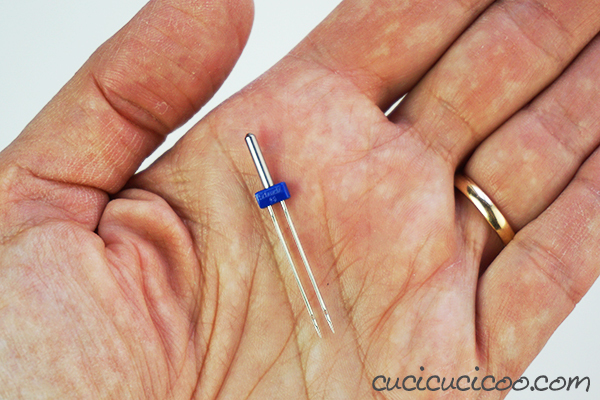 Let me introduce you to the much-loved, yet much-feared, twin needle! 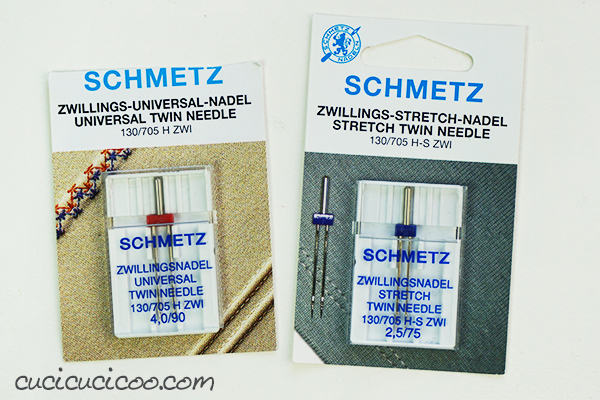 There are all different types of twin needles (also called double needles), such as the universal twin needle (for regular woven fabric), the jeans twin needle (for jeans, obviously), and the stretch twin needle (for stretchy fabrics). 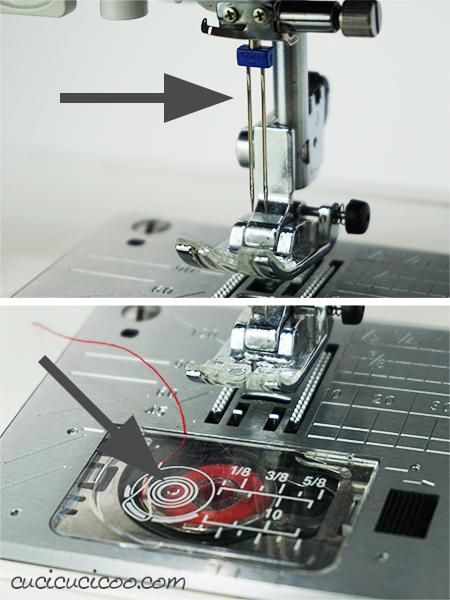 The twin needle is inserted in the sewing machine the same way as a normal sewing needle, but it has two points and eyes, instead of just one. It therefore takes two top threads at once. You usually use it to sew a straight stitch, but not always. 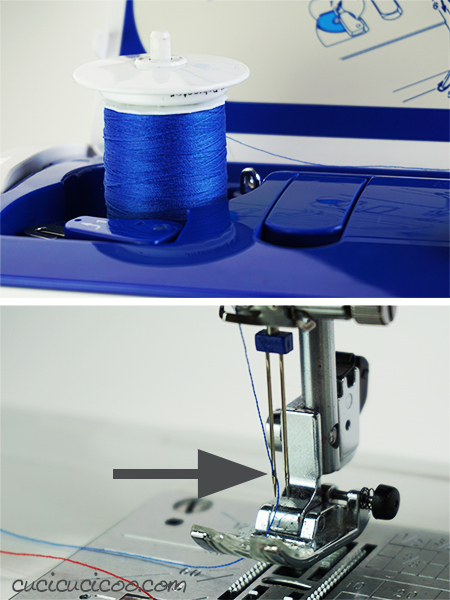 The bobbin thread gets pulled between the two top threads, creating a zig zag under the fabric. This double thread is often used for decorative effects, such as the double stitching on jeans. 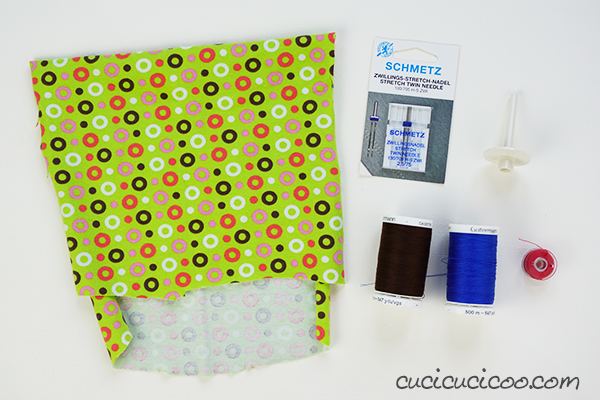 But today we’re going to use the stretch double needle to sew strechy fabric. 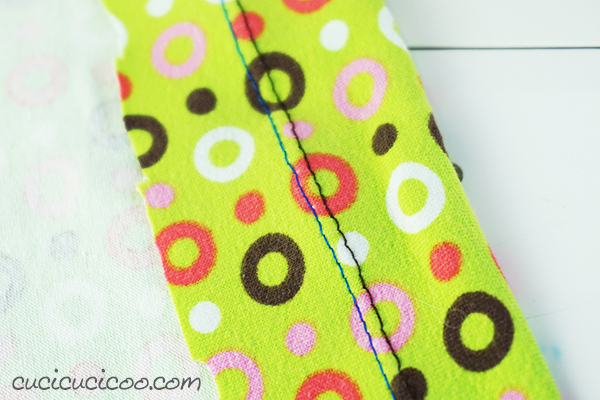 So, why is the twin needle so useful for stretch fabric? 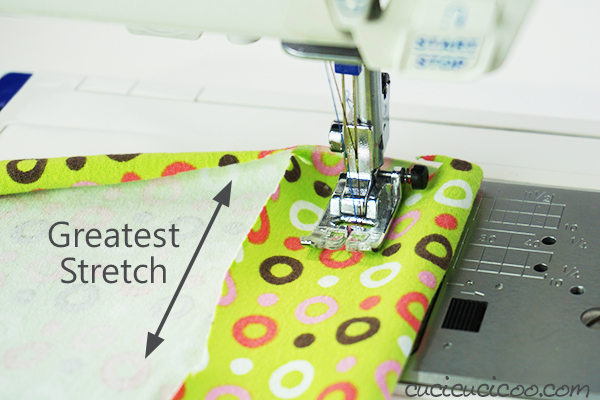 Well, have you ever tried sewing a stretchy fabric with a regular straight stitch? If you have, you’ll know that a straight stitch doesn’t stretch, which means that your sewn piece will not stretch and/or the thread will snap when you try to stretch the fabric. That zig zagged bobbin thread, however, gives the stitches some stretch, as well as creating a very nice, clean and professional look, which the zig zag stitch, often used for stretch fabrics, does not. Let’s talk size for a minute. 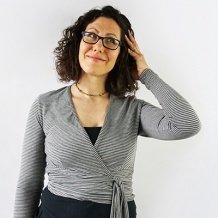 Twin needle sizes have two parts. 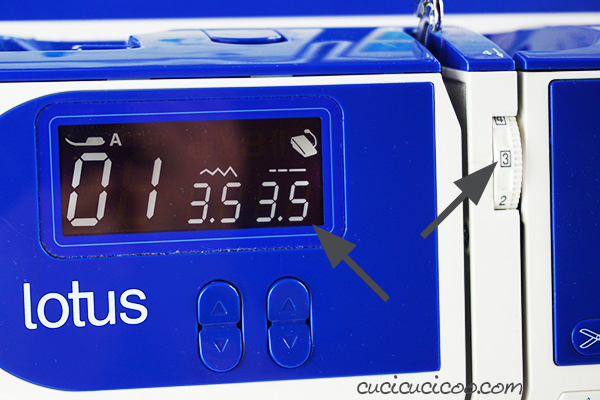 The second number is the same as for regular single needles, indicating the thickness of the needle. 90 is a normal mid-way size. 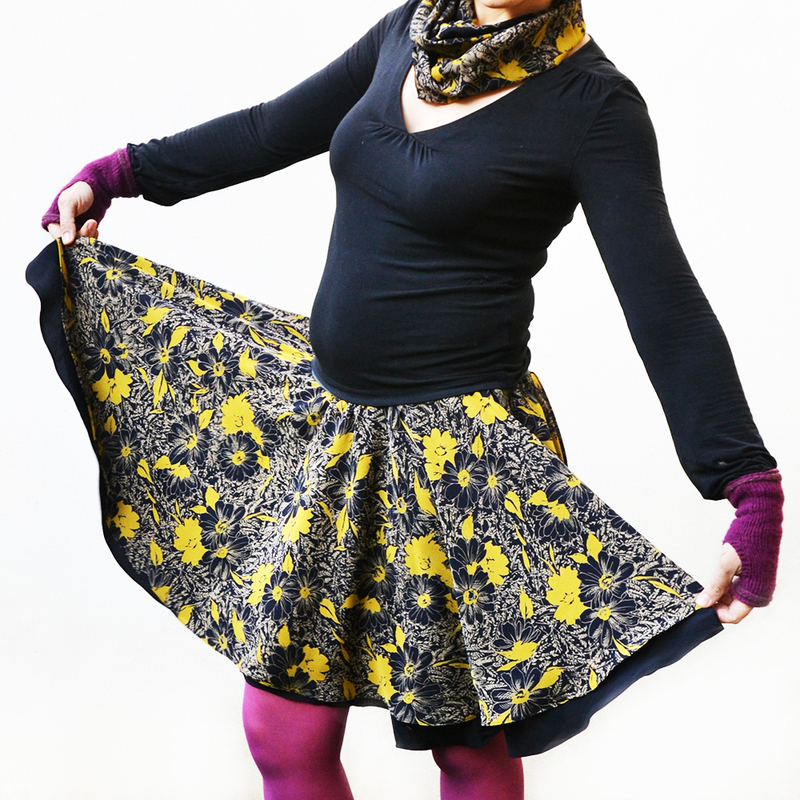 70 is for lightweight fabrics, and 110 for thick, heavy fabrics. The first number, though, is specific to twin needles and indicates the space between the two needles. 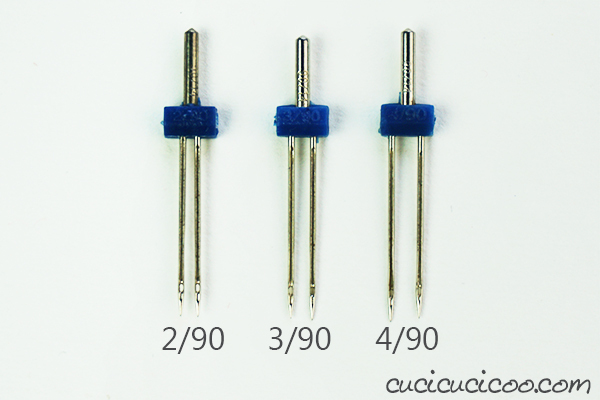 In the picture above, you can see the difference between 2/90, 3/90 and 4/90 double needles. The choice of this first number depends on the visual effect that you prefer. 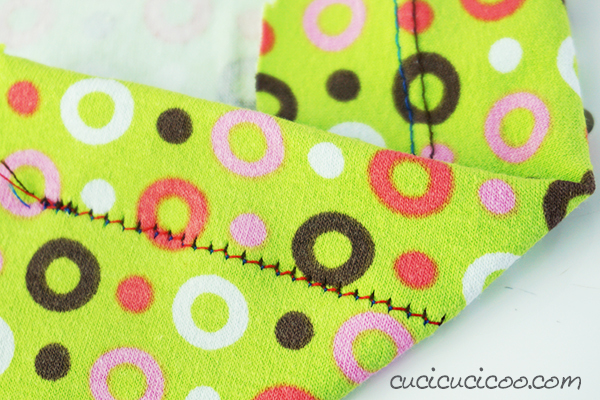 Needles that are closer together tend to create stronger stitching, however they can also create a tunneling effect, with raised fabric between the stitches, which isn’t very nice looking. I suggest have various sizes of twin needles on hand to try them all out. Now let’s see how the twin needle works. 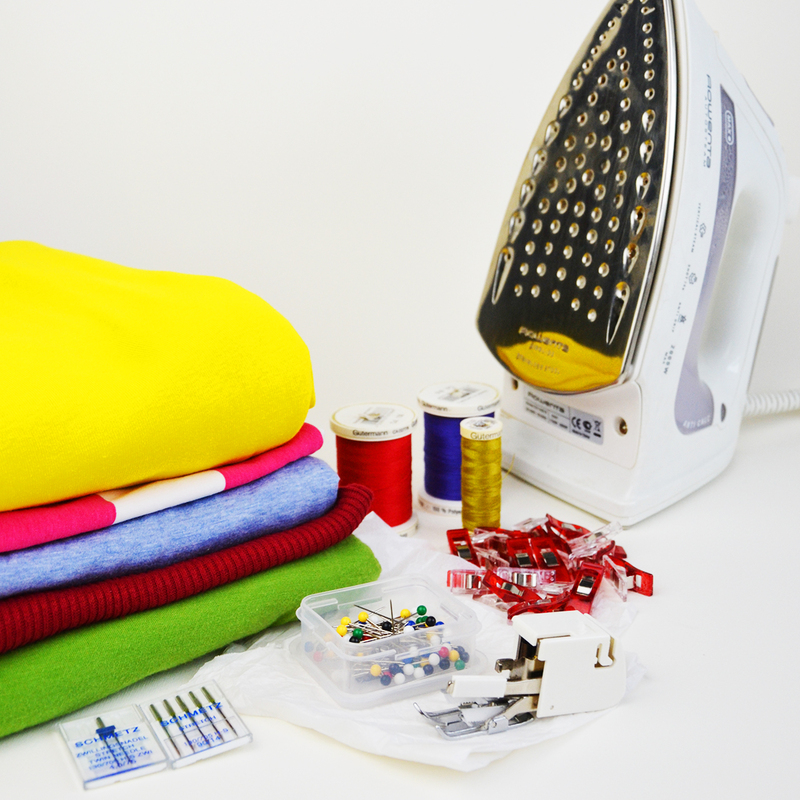 It might seem daunting, however, once you learn how to sew knits with a twin needle, you’ll see that it’s actually quite simple and is a very useful technique to know! Watch the video below, or scroll below it for a detailed explanation. 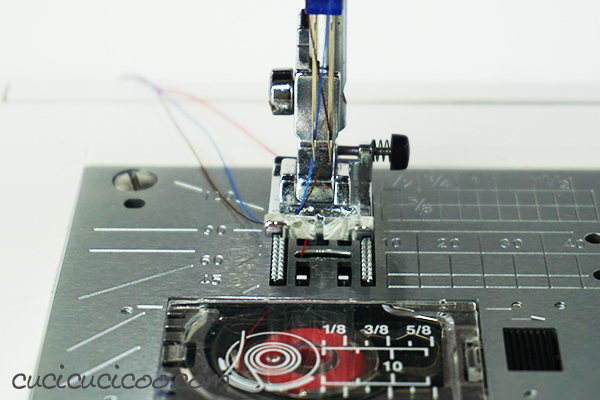 Let’s prepare the sewing machine with the twin needle. You basically need to thread the machine twice, once with each top thread. Thread the machine with the first spool of thread. I am using the blue thread for this. Just put it on the regular spool mount and thread the machine as usual. Then thread it into the eye of the left needle, as shown by the arrow above. 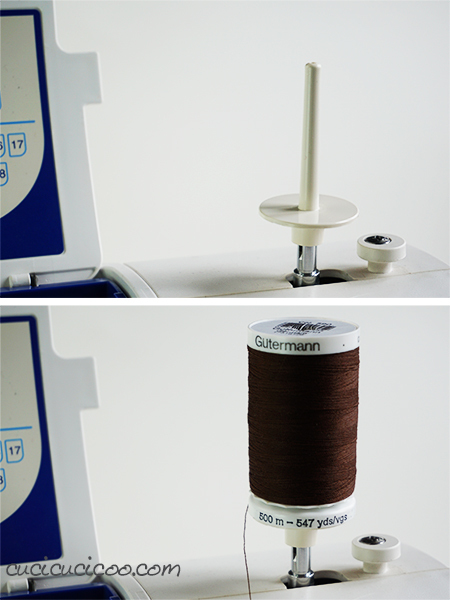 Put the extra spool mount onto the bobbin winder (top photo), then put the second spool of thread on it. Then thread the machine with this second thread, brown in my case. Each sewing machine is threaded differently. My Elna Lotus is unusual in that the regular spool of thread is to the left, not to the right. The thread goes around the circular piece indicated by the arrow in the top photo above. The second thread must also go around the circular piece but, as it comes from the other direction, it goes around it in the other way, counter clockwise. Now we need to fish up the bobbin thread as we would do with just one top thread. To do this, pull the two top threads under the presser foot and hold them out to the side, lower. Lower and raise the needle once using the hand wheel, and gently tug at the top threads. You’ll see the bobbin thread (the red one above) pop up. 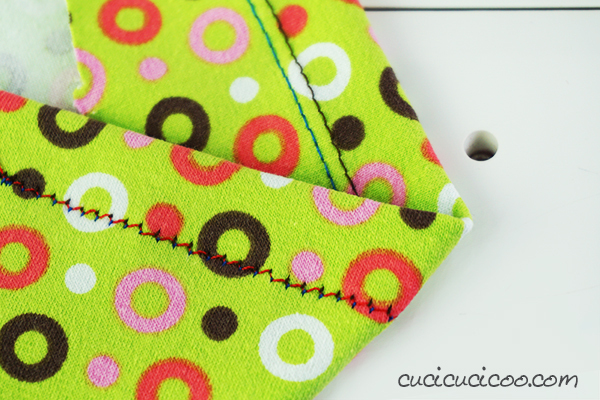 Pull all three threads under the sewing machine foot and towards the back. 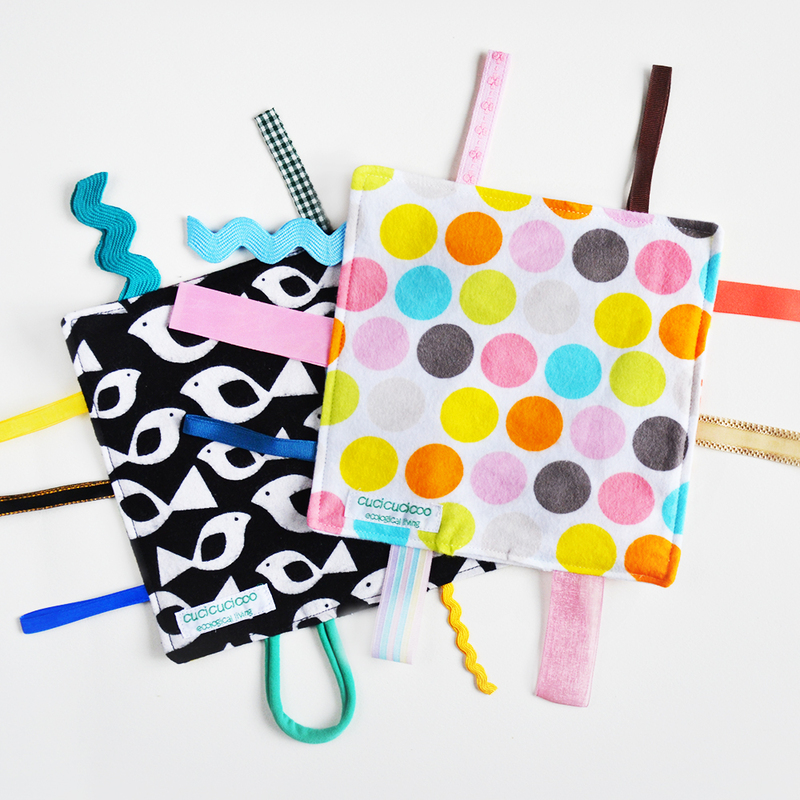 Now we’re ready to sew! 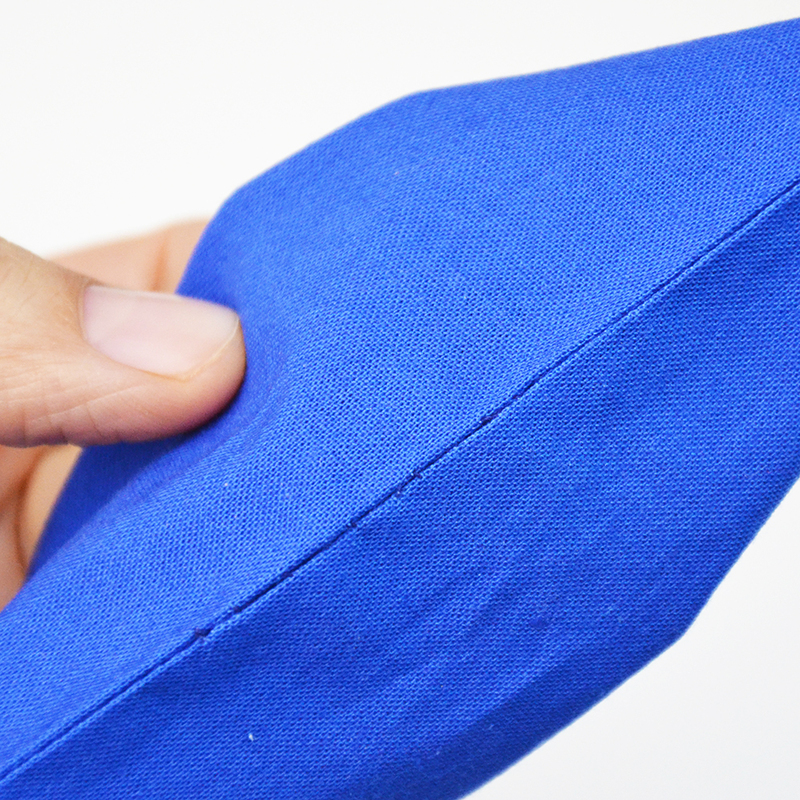 Fold your knit fabric scrap against the fabric’s greatest stretch, put it under the presser foot, and lower the foot. 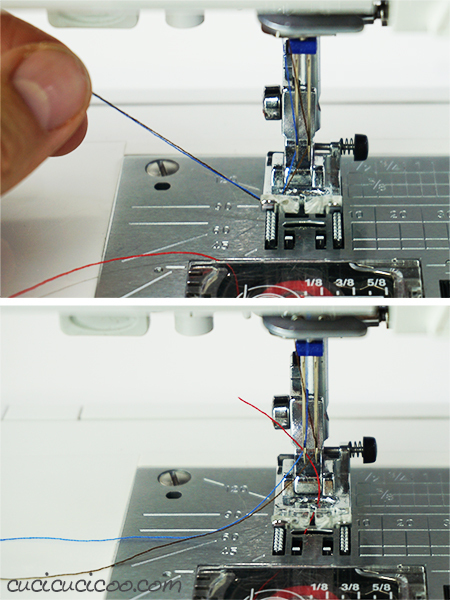 Now start sewing with the straight stitch at your sewing machine’s usual preset. Look at that! Two parallel lines of stitching! Very nice! On the bottom, you can see the bobbin thread zig zagging between the two top threads. This is what gives the stitch some elasticity. It’s very important to note that you should ALWAYS test your twin needle before using it on a project. 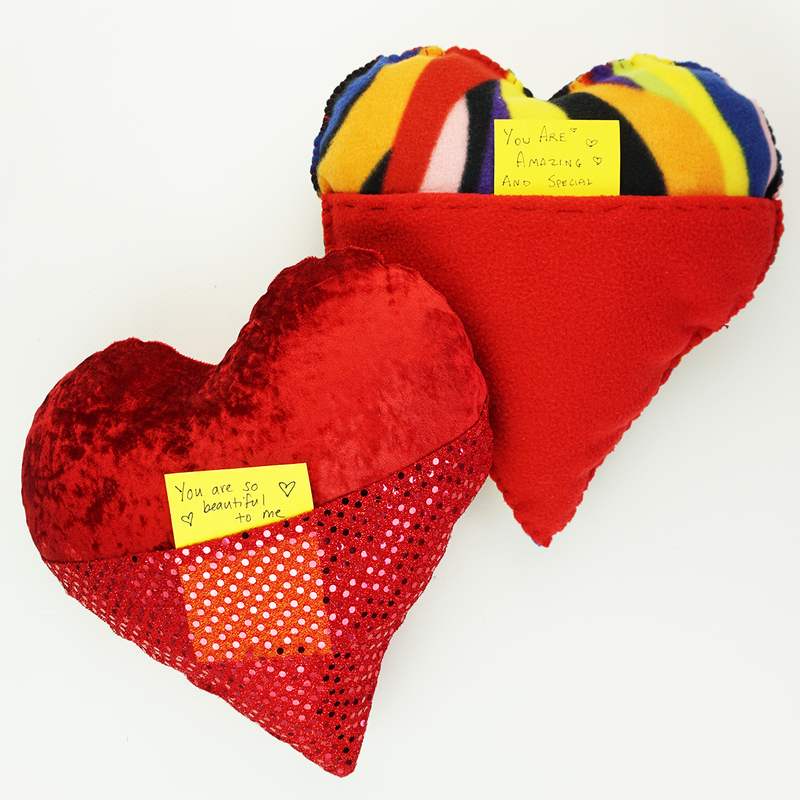 Each fabric, thread, needle and machine, and combination of them, will perform differently. My example above isn’t bad, however the bobbin thread could be more zig zagged, which would allow the fabric to stretch more. For the above example, I used my usual preset of 3.0 stitch length and 4 top thread tension. When you want more stretch, though, you can play around with the stitch length, the top thread tension and the bobbin thread tension until the twin needle works perfectly, giving the most stretch possible. That’s a little better! Just keep adjusting until you find the best settings. 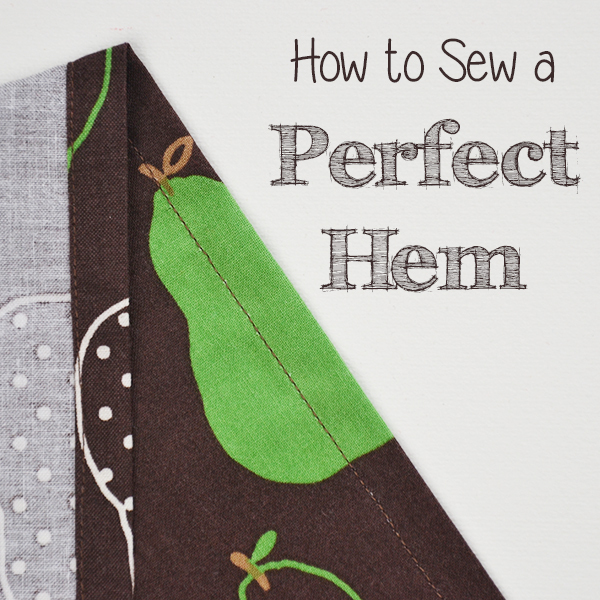 Do note that any type of stitching on a stretchy fabric will become wavy or bumpy. Just steam press the fabric and stitching, using a protective ironing cloth* to protect the fabric and polyester thread (which I’ve discovered can melt in contact with a hot iron!). And that’s it! 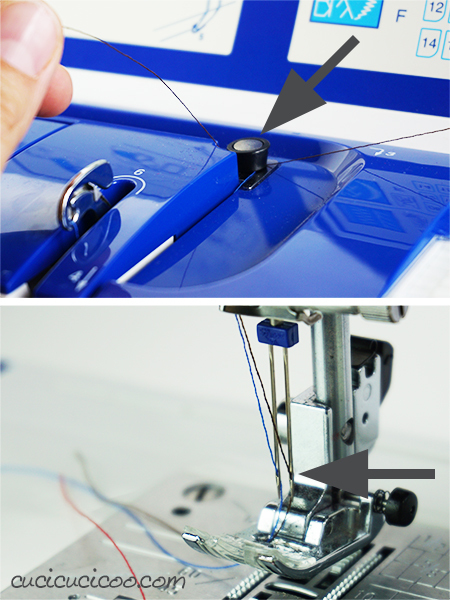 A lot of people are afraid of the twin needle, but once you know how to choose it, thread it and adjust the stitch, it’s actually quite easy and very useful! 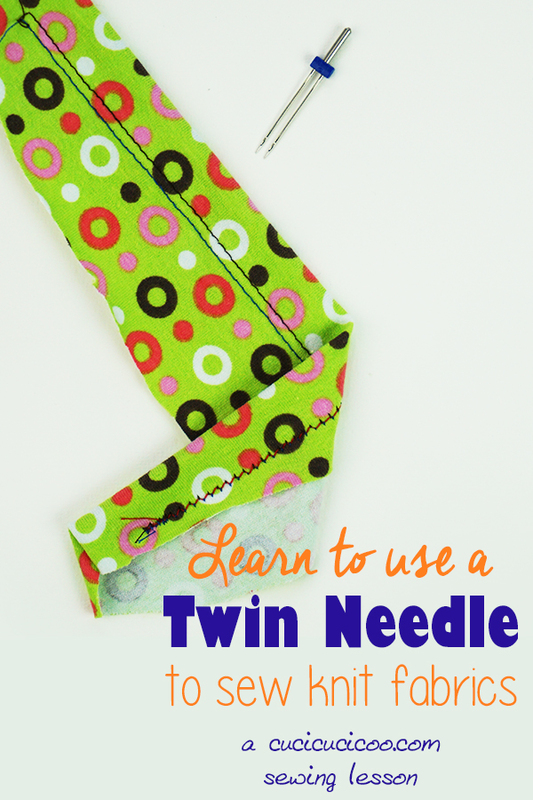 So, now that you know how to sew knits with a twin needle, make sure you come back next week for an awesome project using the double needle! 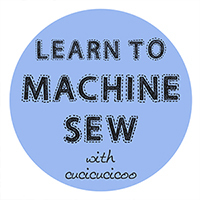 If you liked this lesson on how to sew knits with a twin needle, check out the rest of the Cucicucicoo Learn to Machine Sew beginner’s sewing course! 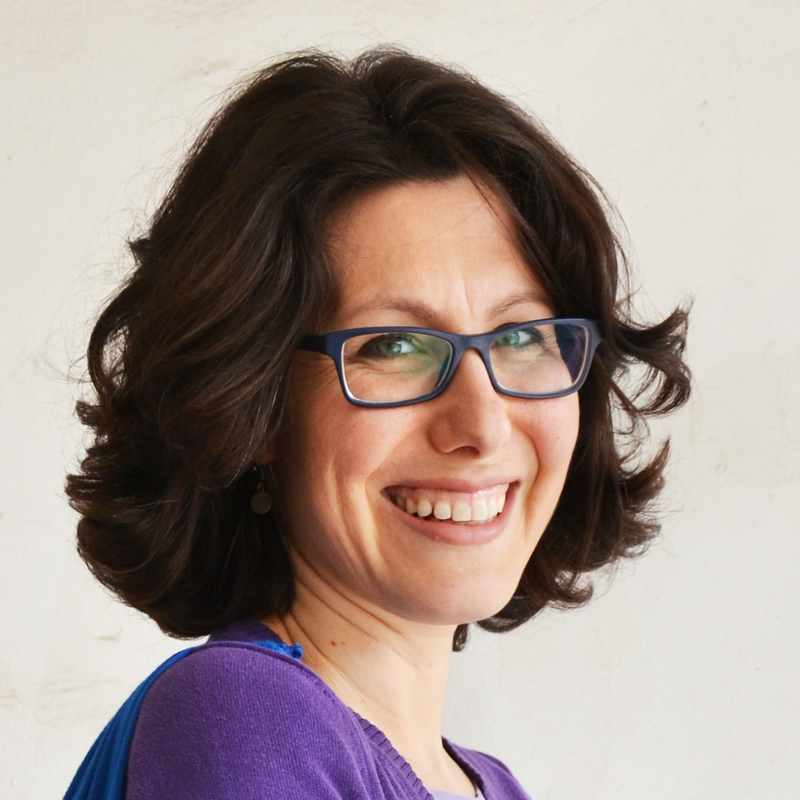 Don’t forget to share pictures of your work on Facebook or other social media with the hashtag #cucicucicoo or #cucicucicoopatterns! 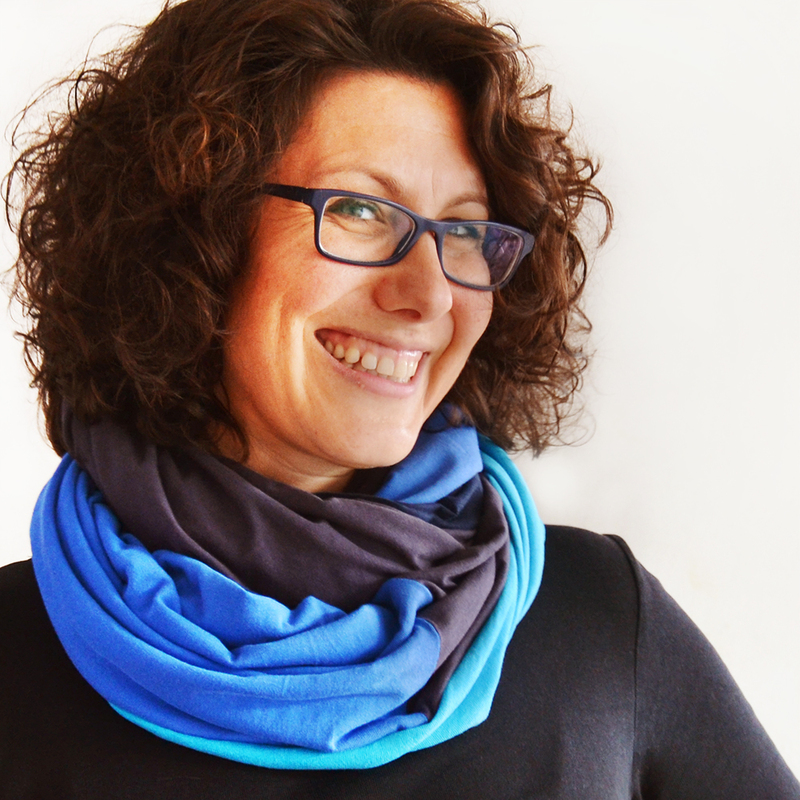 Hey, if you love learning new sewing techniques and finding cool modern sewing projects, make sure you sign up for the Cucicucicoo Newsletter here for access to a bunch of free sewing patterns, craft templates and useful printables! The Newsletter is sent out every other week with lots of great ideas and links to a different free sewing pattern every week! 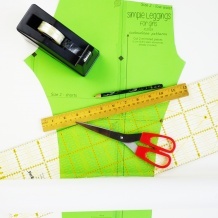 And of course, make sure that you click here to save this sewing lesson on Pinterest so you’ll always know where to find it! *All starred links are affiliate links which help fund this blog. All opinions are my own. Please read my affiliate link disclosure for more information.